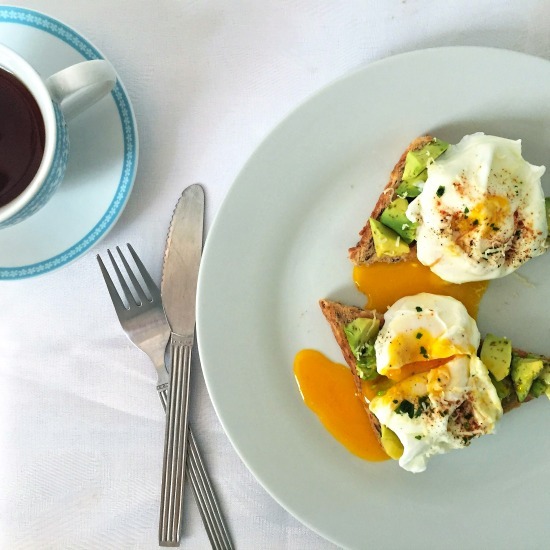 Poached egg and avocado toast must be the healthiest way to start your day. 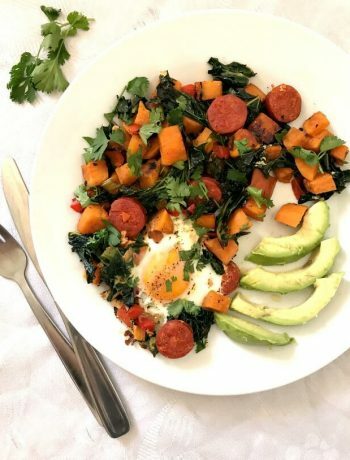 This vegetarian breakfast barely requires any effort, it has all the nutrients the body needs to work well and above all, it is super delicious. Not quite convinced yet? Avocados are considered one of the world’s healthiest foods, and rightly so. Although they have a high fat content, it is the good kind of fat, or the monounsaturated fat that the heart loves and asks for a second portion. The proven benefits of eating avocados are countless, but just to name a few are cancer prevention, healthier heart, lower cholesterol, diabetes prevention and so on. So do eat avocados as often as you can. Just make sure they are fully ripe though. Are eggs high in cholesterol? Eggs are as well considered super healthy. High in protein, essential vitamins and minerals, eggs are wrongly thought to raise the cholesterol level in the blood. Studies have showed that actually the eggs do not affect the cholesterol in the blood. I mean, l would’t eat an omelette just with egg whites, but hey ho. Some people add vinegar as well to the water, apparetly that helps the egg keep a nice shape. Never tried it before, and not sure I’d like the slightly vinegar(y) taste. For the ultimate healthy breakfast, swap the white bread for wholegrain bread. Eating healthy has never been easier. 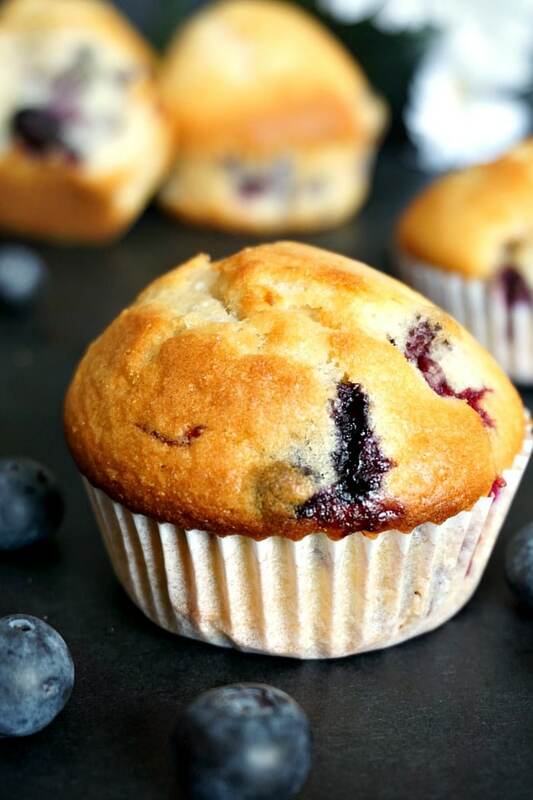 No more skipping breakfast when this can be ready in 5 minutes. Toast the egg, slice the avocado and top the toast with it. Add the poached egg, and season it with salt, pepper and a pinch of paprika. You can add anything else, grated cheese, parsley, coriander, you name it! 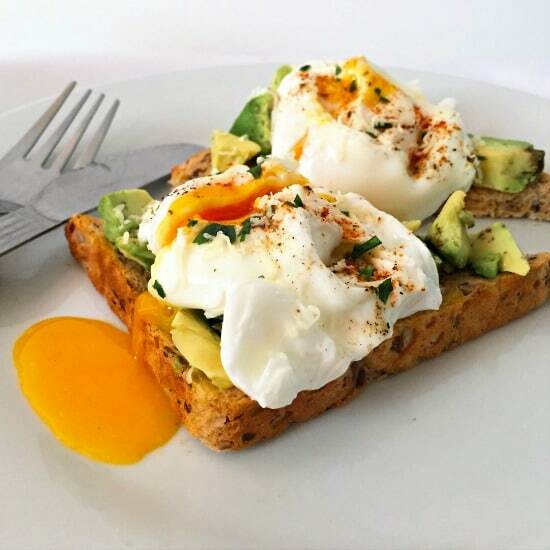 One serving has 316 calories, and that includes a slice of brown bread, a poached egg, about a quarter of an avocado, plus seasoning. Now, the number of calories will depend on the type of bread used, some bread is higher is calories than others. Still, it’s a super healthy and nutritious breakfast, that will keep you full for longer, and provide you with the necessary nutrients. 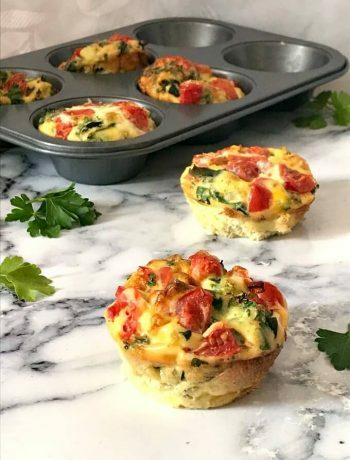 It’s one of my favourite ways to start my day, but if you are looking for other healthy breakfast ideas, how about some veggie omelette? 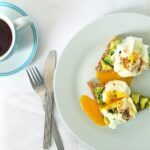 If you’ve liked my POACHED EGG AND AVOCADO TOAST or any other recipe on the blog then don’t forget to rate the recipe and let me know how you got on in the comments below, I love hearing from you! You can also FOLLOW ME on FACEBOOK, and PINTEREST to see more delicious food and what I’m getting up to. 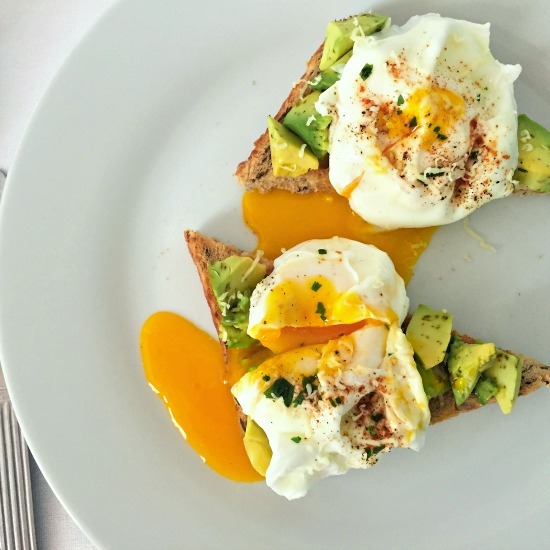 Poached egg and avocado toast, a healthy and nutritious vegetarian breakfast. Crack the eggs and gently slide them into the water, one at a time. Poach of 3 minutes, l like the egg yolk to be runny, but otherwise leave them to poach for longer. Cut the avocado in half and use a teaspoon to scoop the flesh out. Chop it then add it on top of the toast. Best to use a spatula to remove the poached eggs from the water. Top the toast with the eggs and season with salt, pepper and paprika. Scatter grated Cheddar cheese over the eggs and decorate with chopped parsley.